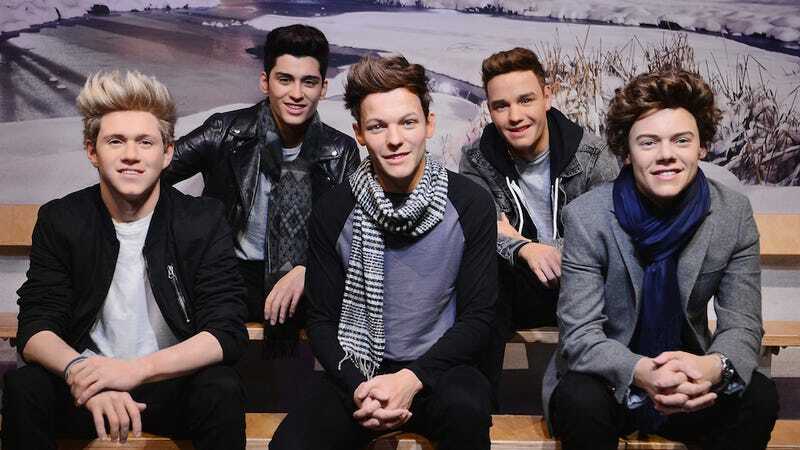 One Direction, the UK boyband that you reluctantly grew to like (love?) after the blog you write for made you go see This Is Us multiple times in the theater, is no longer on hiatus. Good news? More like LIFE RUINING NEWS: They are no longer on hiatus because they are permanently breaking up, according to US Weekly. Five months after announcing they would begin an extended hiatus in March, One Direction’s Louis Tomlinson, Niall Horan, Liam Payne and Harry Styles will split, a source close to the British boy band reveals in the new issue of Us Weekly. The band began showing cracks last spring when Zayn Malik—the soulful, doe-eyed harbinger of what was to come—left the group to pursue a solo career. Since then, One Direction released one album, Made in the A.M., which was certified Platinum this January. So far, the band has made no official announcement of a split, but many of the members—most notably, my elfin prince Harry Styles—are already working on solo projects. It will be a sad day for One Directioners if the US Weekly report proves true, but—silver lining—it will be exciting to see where Harry and Zayn take their talents next. As for the other three (whatever their names are), they’re sure to pop up as game show hosts at some point over the next 5-15 years.